Hormone replacement therapy (HRT) is a therapeutic treatment method used in a number of medical applications. Because proper hormone functions are essential to overall health, HRT can help alleviate a number of medical symptoms and concerns. At the Center for Sexual & Urinary Function in Phoenix, Globe, and Show Low, Arizona, board-certified physician Peter Niemczyk, MD, FACS, provides customized hormone replacement therapy to patients experiencing hormonal issues. To learn more, schedule an appointment online or by phone today. HRT is a highly effective treatment method that uses doses of hormones to help balance your hormone levels and regulate bodily functions. This customized therapeutic treatment contains a number of vital hormones, including testosterone and estradiol. Hormones are essential for a host of essential body functions, including blood flow, metabolism, and body temperature. This means proper hormone function is a necessity for overall health and wellness. What conditions can be treated with hormone replacement therapy? Hormone replacement method is an effective treatment method for overcoming sexual dysfunction. Because hormone replacement therapy mimics where your natural hormone levels should be, there’s no need for methods like surgery and medication. What methods of hormone replacement therapy are available? 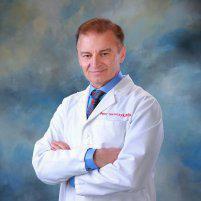 Currently, Dr. Niemczyk provides two different approaches to hormone replacement therapy. The first step in addressing your impaired hormonal functions is with a hormonal evaluation to determine your individual needs. Depending on your condition, Dr. Niemczyk might also decide to conduct a metabolic evaluation to give him the most accurate information for developing your treatment plan. The first approach Dr. Niemczyk takes is with hormone pellets. These tiny, customized pellets allow Dr. Niemczyk to provide you with a personalized dose of hormones that regulate your hormone levels and give you consistent relief from your symptoms. Hormone pellets mimic the functions of your natural hormones, helping to treat the underlying cause of your condition, not just your symptoms. The second approach uses bioidentical hormone cream. Similar to the pellets, this topical cream provides a custom dose of hormones that help balance your hormones and regulate bodily functions. Available for both men and women, bioidentical hormone cream can be used to treat vaginal dryness, erectile dysfunction, and a variety of issues caused by hormonal imbalance. If you’d like to find out if hormone replacement therapy is right for you, schedule an appointment at the Center for Sexual & Urinary Function online or by phone today.